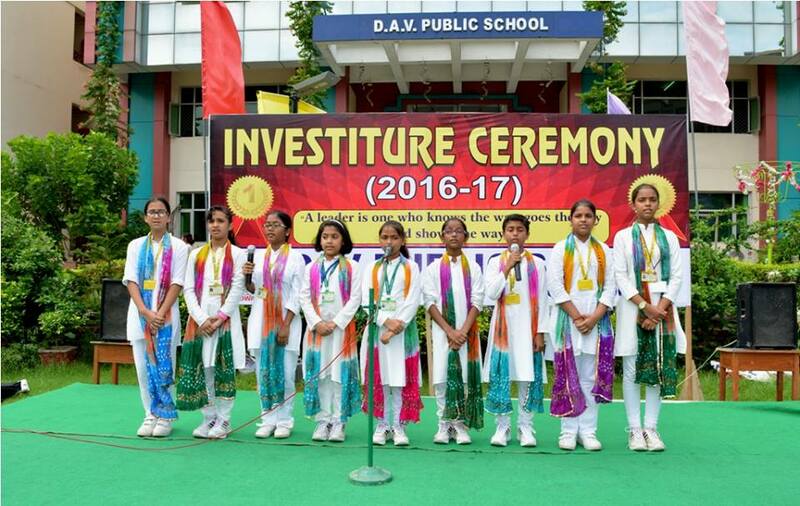 M L Khanna DAV Public School Dwarka held its annual investiture ceremony to mark the formation of the student council for the session 2018-19. School Chairman N K Uberoi was the Chief Guest for the occasion. The event began with the chanting of holy Gayatri Mantra followed by DAV Anthem. 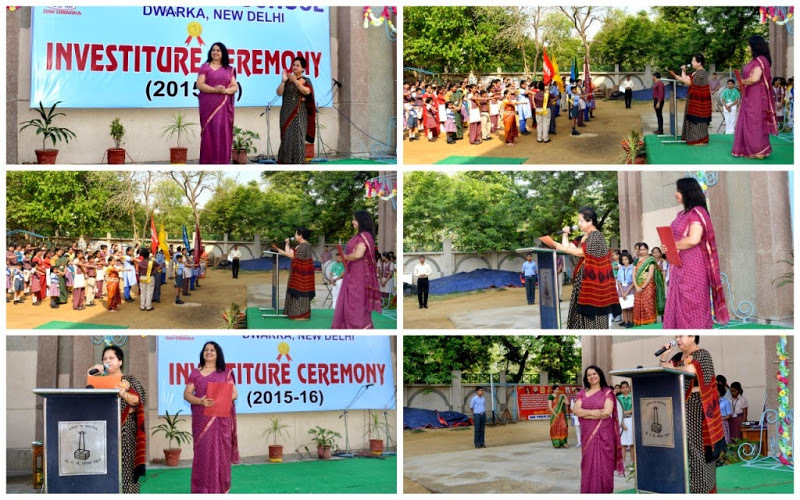 School Principal Ms. Monika Mehan extended a ‘Sow n Grow’ welcome to the Chief Guest. She in her welcome address, expressed her gratitude to the chief guest for gracing the occasion. She exhorted the young leaders to be the role models for other students and work in harmony for maintaining the highest standards of discipline in school. This was followed by a melodious rendition of welcome song presented by the school choir. Badges were presented to the newly appointed cabinet. The Chief Guest administered the oath of sincerity and dedication. The students pledged to work earnestly with integrity, faith and excellence and uphold the honour and glory of the institution. School Chairman congratulated the School Parliament and encouraged the new school leaders to carry on their duties with sincerity and dedication and protect the environment. The Investiture Ceremony of M.L Khanna D.A.V. Public School, Dwarka for the academic session 2017-2018 was held on July 21, 2017 at the school Lawns. The event was presided over by the School Principal, Ms. Monika Mehan. The eagerly awaited moment began with the inaugural of the Junior and Senior Student Council. Nurturing students to be future leaders, the deserving young leaders were bestowed with the responsibility of leading their school with their commitment and confidence. The Council Members-School President , Vice President and Secretaries in various fields like Sports, Discipline, IT and Art were awarded with sashes and badges which made them feel proud and ready to shoulder the responsibilities as student leaders. The Captains and Vice Captains of the four houses were also invested by the house in-charges. Class Prefects were also pinned badges. The new council took oath of office and promised to disburse their duties and responsibilities in sincere and diligent manner. The School Principal urged the newly installed members of School Parliament to become role models and be infused with team spirit to create a positive influence with their leadership. The ceremony ended with the rendition of the National Anthem. 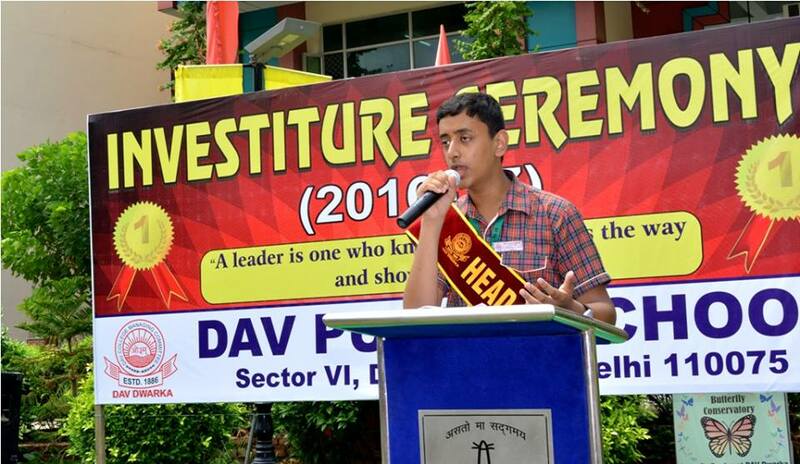 DAV Dwarka organized the investiture ceremony for the current academic session. The guests for the occasion were school chairman Sh. T.R.Gupta and school manager, Ms. Adarsh Kohli. Guests were extended a ‘sow and grow’ welcome by Principal Monika Mehan. The ceremony began with the musical rendition of welcome song presented by the students of Kala Sangam – the music club of school. The ceremony marked the inaugural of the junior and senior student council. Nurturing students to be future leaders, the deserving young leaders were bestowed with the responsibility of leading their school with their commitment and confidence. The council members-Head Boys and Head Girls of senior, middle and junior wing were awarded with sashes and badges held their heads high, ready to shoulder the responsibilities as student leaders. The captains of the four houses took their oath of office. The young leaders stood upright with their heads held high and their hearts in humility as each picked up their precious position. The newly elected members took an oath and pledged to work earnestly. They promised to disburse their duties and responsibilities in the most proactive and diligent manner. School Chairman Sh. T.R. Gupta motivated the students to partake their responsibilities with great dedication for the betterment of the school. He urged them to have the spirit of positivity and willingness. 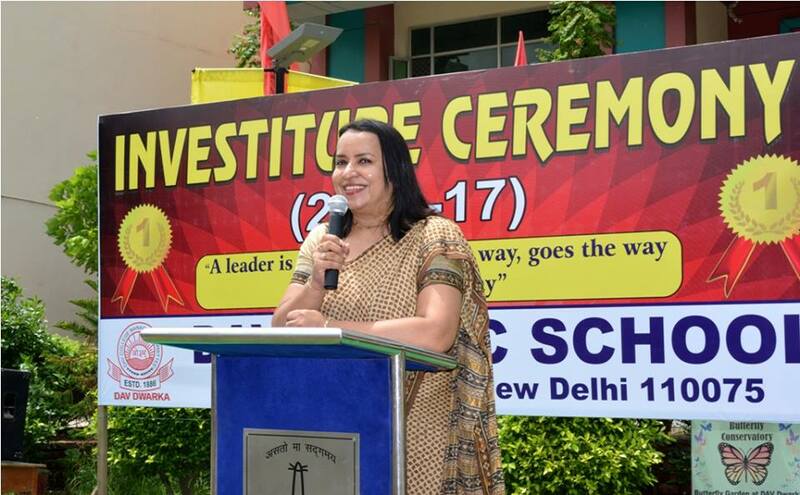 School Manager Ms. Adarsh Kohli administered the oath of office to the newly appointed office bearers. In her address, she congratulated the new appointees and exhorted them to play a greater role in developing the school’s educational and social outreach projects. School Principal urged the new council members to become role models, be infused with the spirit to create a positive influence with their service leaders. 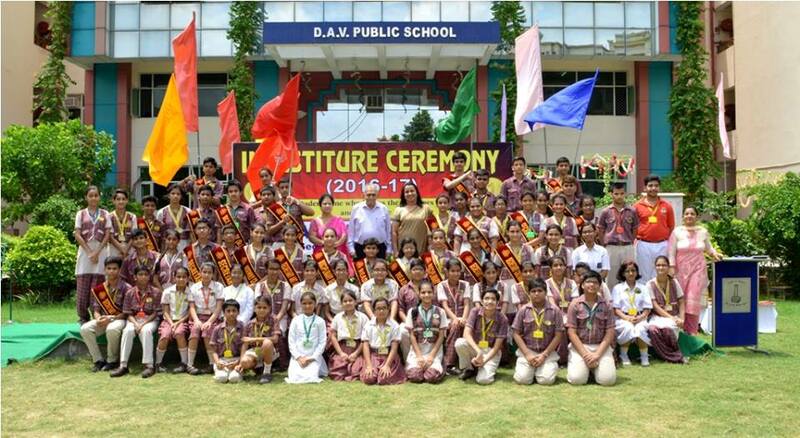 DAV Dwarka held its investiture ceremony for the session 2015-2016 in the month of May. 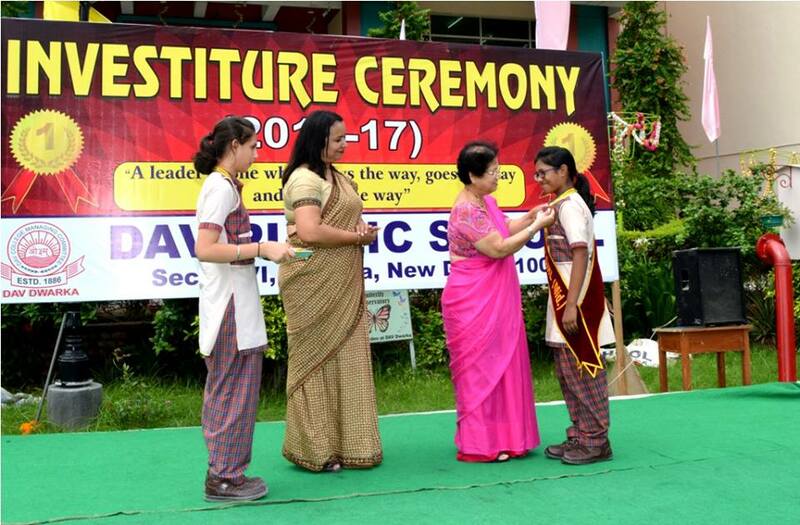 The ceremony was presided by the manager of the school, Ms. Adarsh Kohli, who honoured the newly appointed members of the school parliament by pinning badges on them. 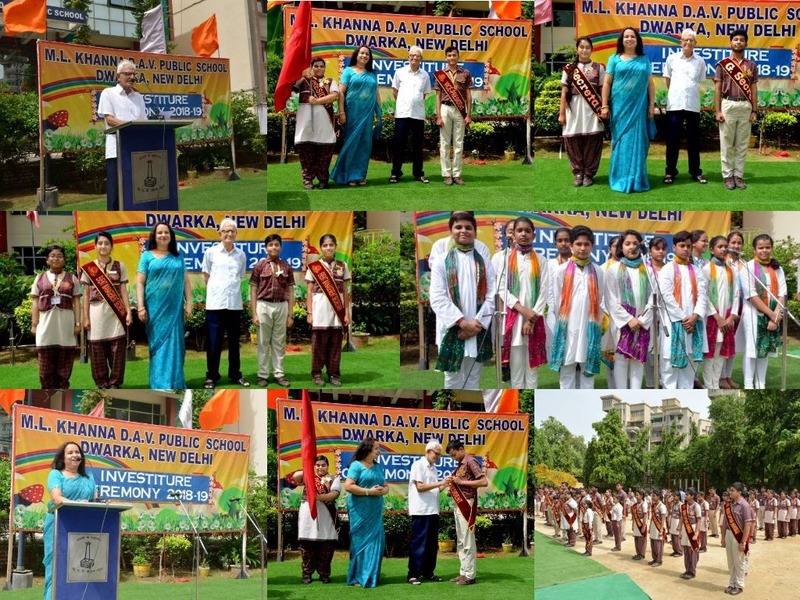 The elected leaders were also presented with sashes by the Chief Guest and the school Principal Ms. Monika Mehan. Raksha Joshi and Neeti Sharma of class X were elected as the President and the Vice President of the school respectively. The junior student parliament members were also entrusted with various responsibilities to prepare them to be the future leaders. The house captains of all the four houses were also pinned badges by the Chief Guest, the school Principal and the respective house incharges. All the newly elected members of the student council along with the house captains and the prefects took an oath to discharge their duties with commitment and dedication. 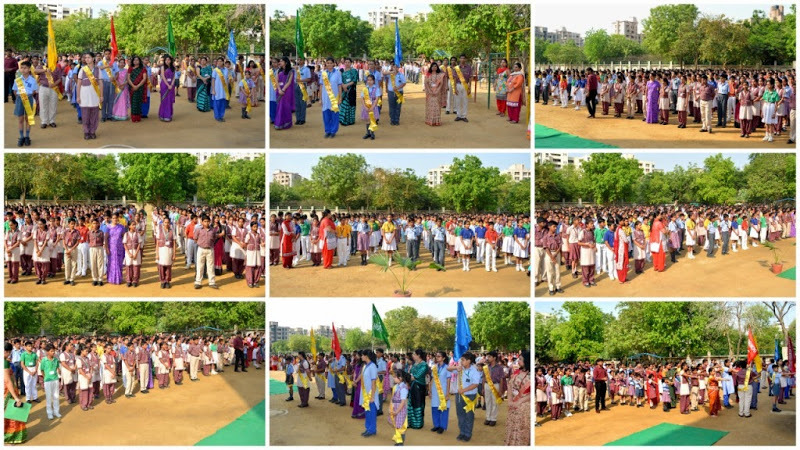 The programme culminated with an inspirational speech by the school manager, who motivated them to maintain the discipline and esteem of the school with whole hearted devotion.